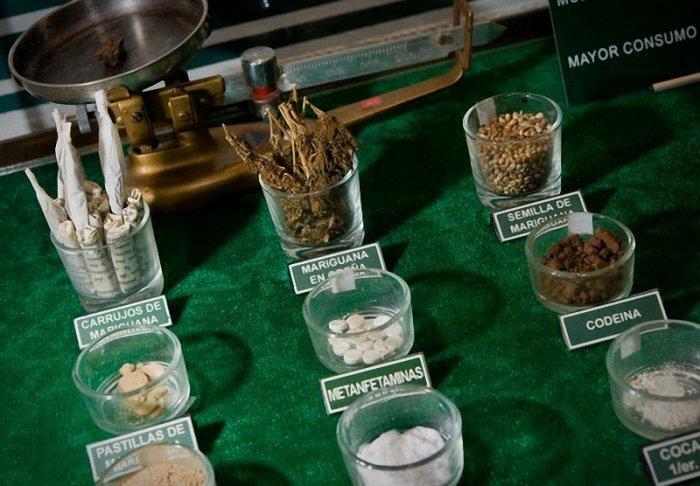 The Mexican military’s Museum of Drugs, opened its doors in 1985 in Mexico City. It was a small room with a couple of display cases in it. Since then the situation had changed: Now museum is situated in Mexico’s version of the Pentagon. It has a lot of spacious rooms, but its curators say they are running out of room for all the contraband they would like to showcase. And if you were planing to visit this interesting museum after reading this article, we will have to disappoint you. Sadly, it’s a private museum, open only to government officials, diplomats, and members of the army. 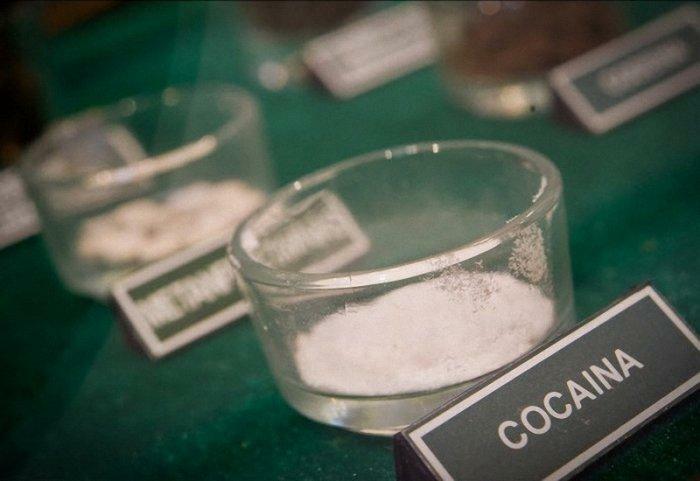 Samples of various drugs, including methamphetamine, cocaibe and marijuana in various forms are labeled in a glass case. 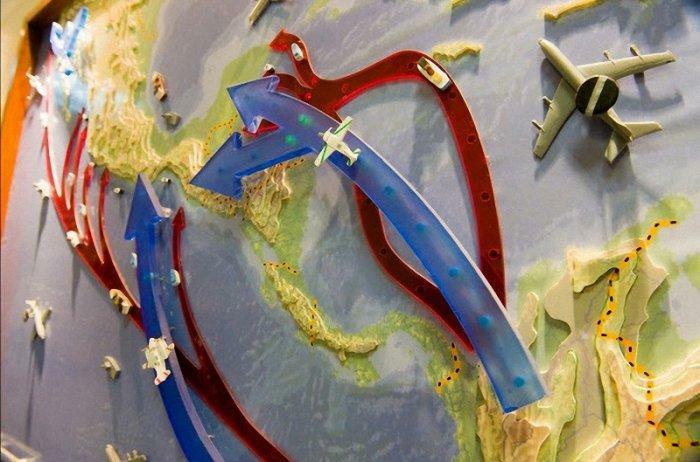 Arrows on a lighted 3D-map show the directions of drug trafficking from the south toward the United States. Museum’s curator Army Capt. Claudio Montane shows a large mural depicting the war on drugs at the entrance to the Museum of Drugs in Mexico City. 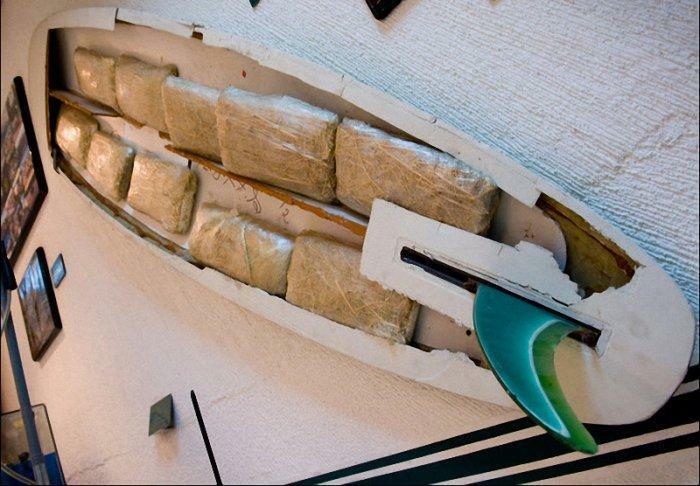 A display at the museum shows how marijuana is smuggled inside a surf board. 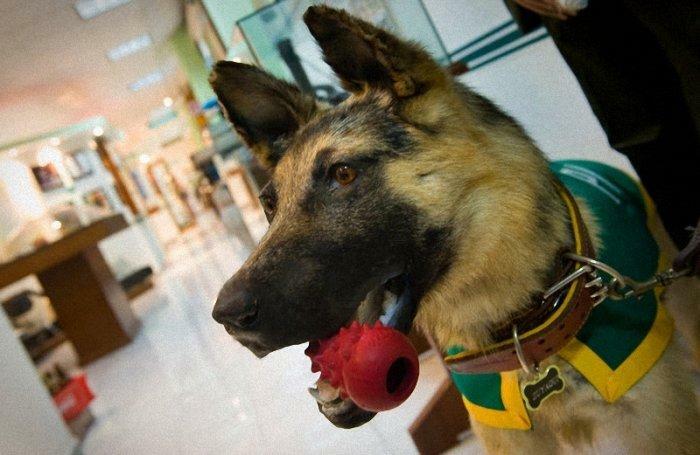 Zayaqui, a narcotics-detecting German Shepherd who died in 2008, is memorialized at the museum. He was responsible for the seizure of more than 8,000 pounds of marijuana and other drug findings. 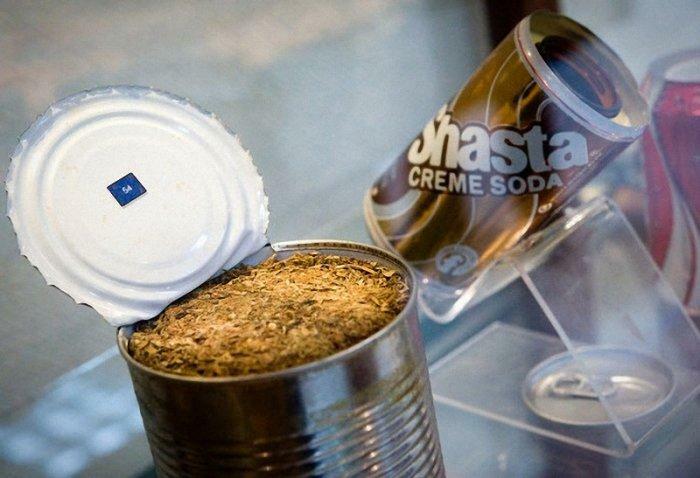 The displays examples of how drugs are smuggled in food and soda cans. The museum is open to Mexican officials, visiting diplomats, graduating army cadets and occasionally journalists, but not the greater public. 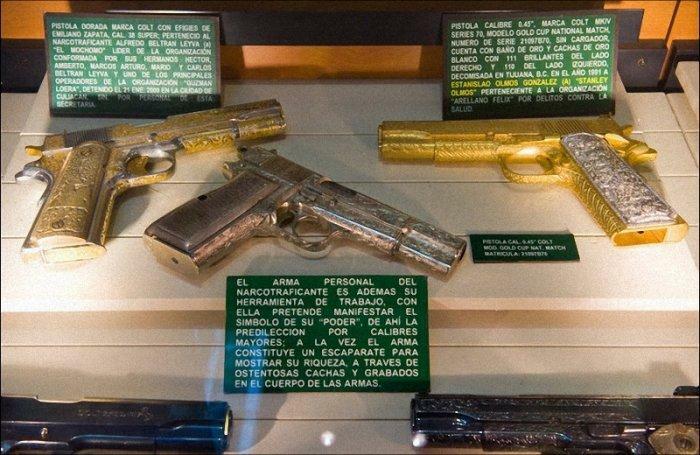 An exhibit features weapons seized from cartel members. 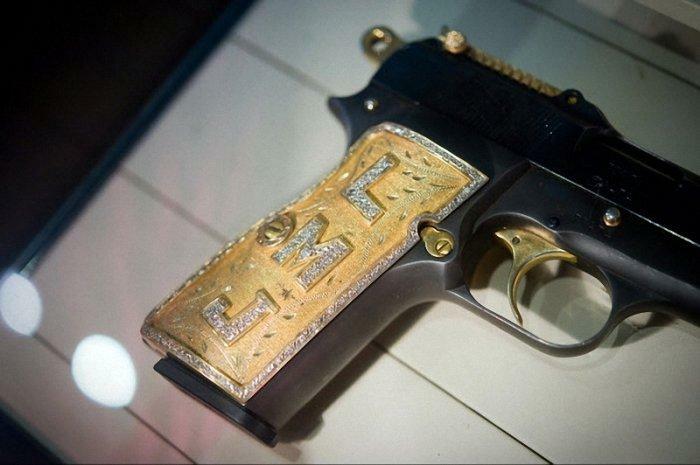 One 9mm browning pistol has the diamond-encrusted initials of LMJ. 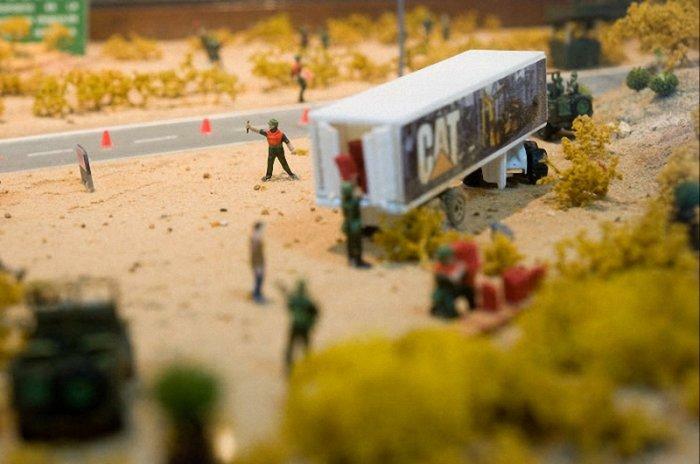 A diorama shows how police and military road blocks can help catch drug smugglers. In the past three years, Mexican forces have confiscated 443 airplanes, 14,622 vehicles and 43,118 weapons, including bazookas and grenade launchers. They have seized $113,990,520 in cash, Claudio Montane said. 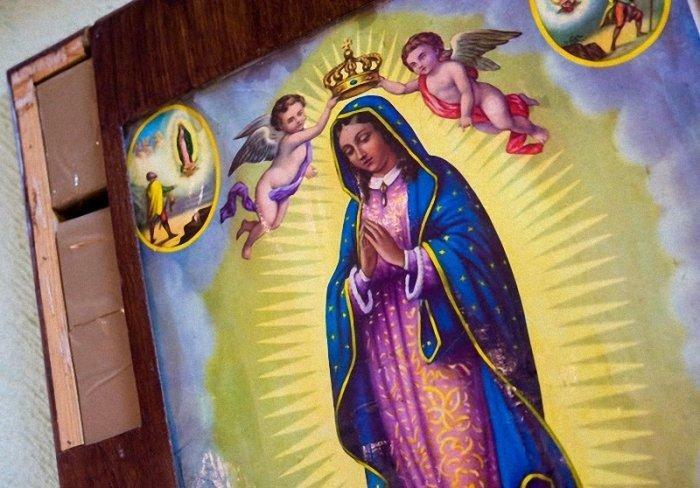 Drugs are shown hidden in the picture frame of the Virgin of Guadalupe. Nine of these religious frames were found during a revision of a passenger bus in Sonora, Mexico. A total of 110 pounds of marijuana was seized. 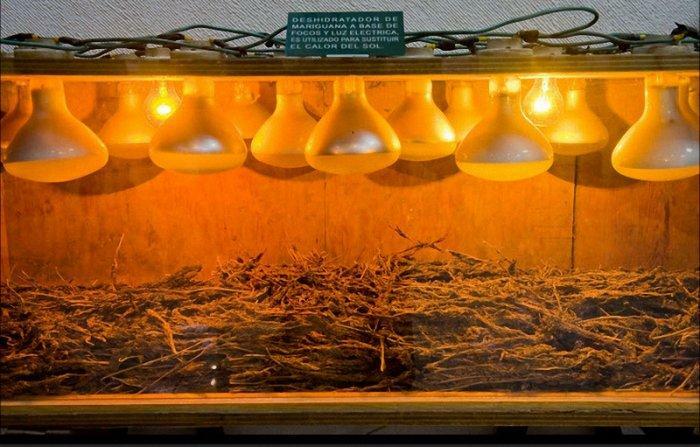 A section of the museum teaches about the connection between certain religions and drug trafficking. 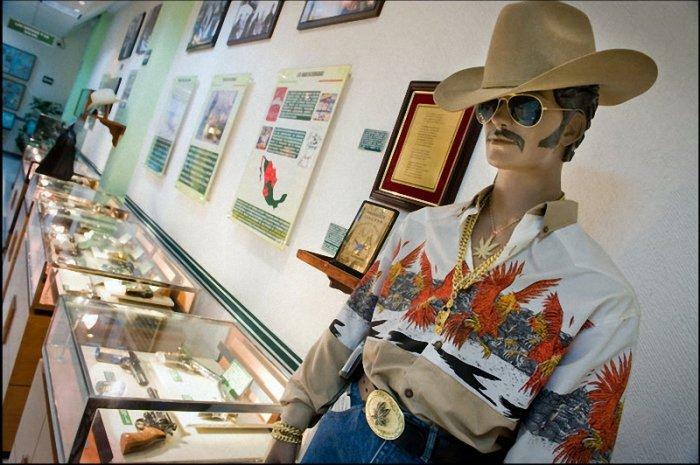 A bust of Jesus Malverde is enshrined in one exhibit. 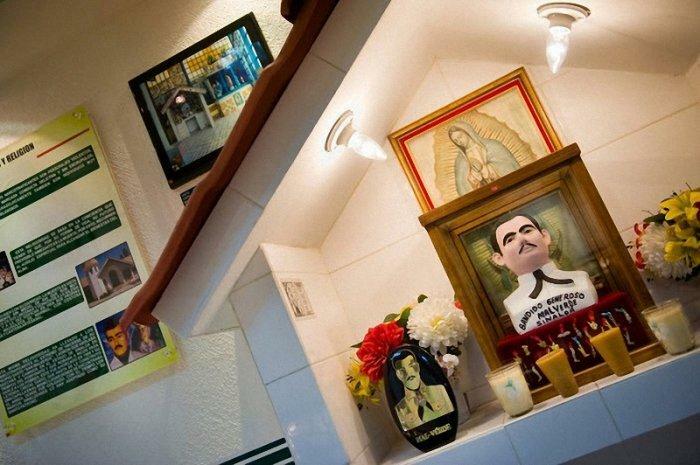 Malverde, a highwayman who legend has it was killed by authorities in 1909, is revered as a patron saint of traffickers and a Robin Hood for the poor. An elaborately etched automatic weapon hangs on the wall at the museum. 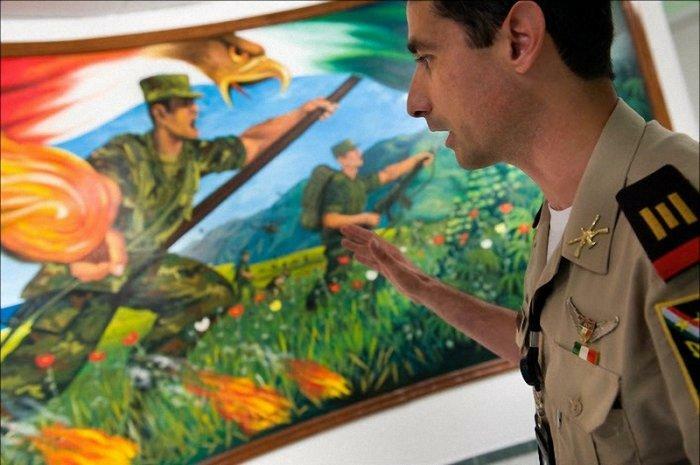 From 1976 to 2009, 636 Mexican forces have died in battles with the cartel — 133 of them in the past three years. 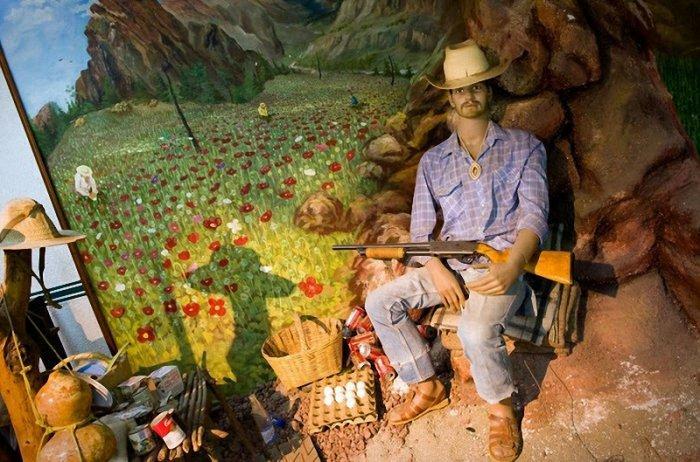 A life-size diorama of a grower in the countryside guarding his crop is featured in the museum. With the flip of a switch a cassette player begins a narco-corrida, the popular ballads honoring the drug outlaws. 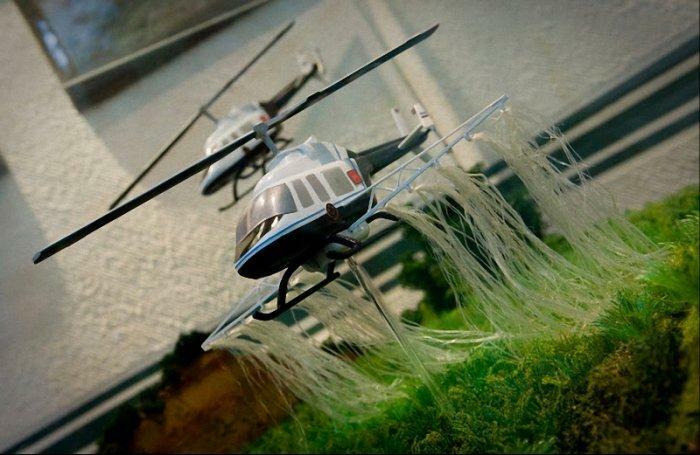 A diorama shows a military helicopter killing plants in a remote marijuana field. 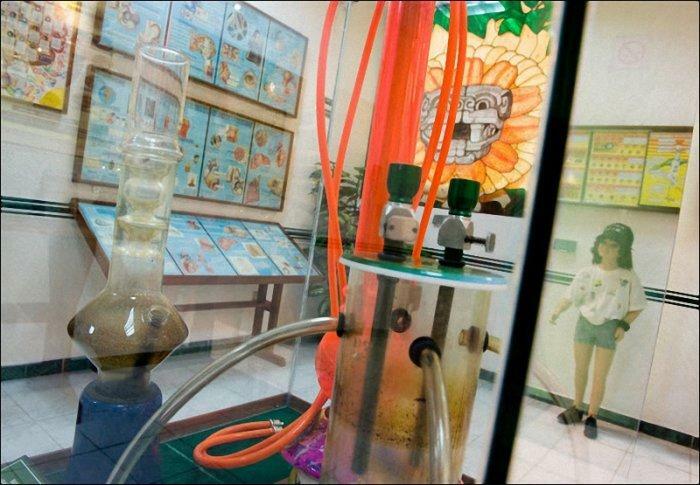 A machine used to dry marijuana indoors was found during a drug bust and brought to the museum. An exhibit shows drug paraphernalia such as elaborate pipes. “The idea is to show the history of drugs, the various methods of the narcos, our operations and interceptions against them, as well as their mode of life, the social phenomenon of this narco-culture,” the museum’s curator said. Various guns seized from cartel members are arranged in a display case. The center gun is etched with marijuana and poppy plants. 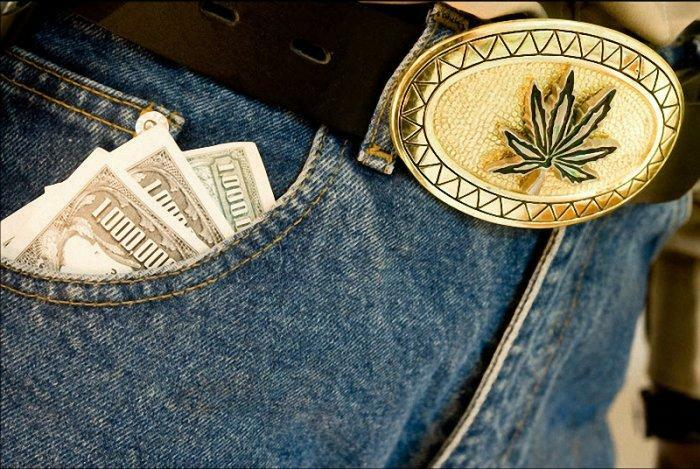 In a room aimed at teaching about narco-culture, a mannequin has a pocket full of money and a big marijuana belt buckle. 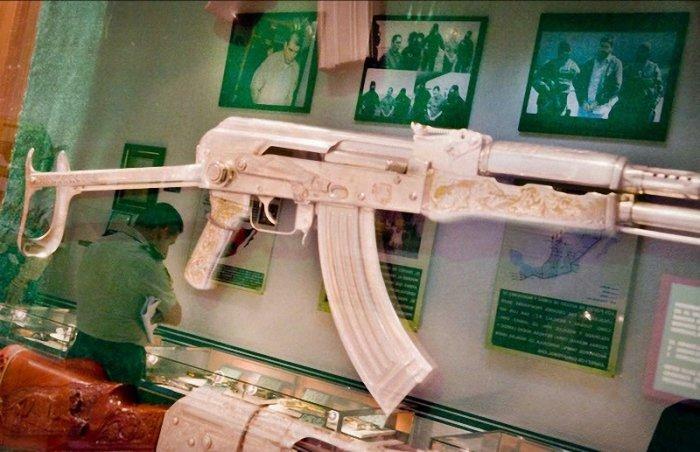 A room of the museum, dedicated to narco-culture, depicts a cartel member next to a row of glass cases filled with seized weapons.